«Dynamic Response» Technology: a hybrid belt of Aramid and Nylon ensures optimum transmission of steering instructions onto the road. An ultra-reactive Tread Pattern Design, coming from motorsport experience (Formula E, WRC), adapts continuously to the road, for optimized footprint on the road. A new mix of compound with specific “functional elastomers” and hydrophobic Silica provides excellent wet grip and braking. Wide and deep longitudinal grooves ensure a high level of drainage on wet roads. Coming from co-operation with emblematic car manufacturers and from MICHELIN motorsport experience. The MICHELIN PILOT SPORT tireline is co-designed with the most demanding car manufacturers (BMW, Mercedes, Audi, Porsche). The tread pattern design comes from motorsport experience. 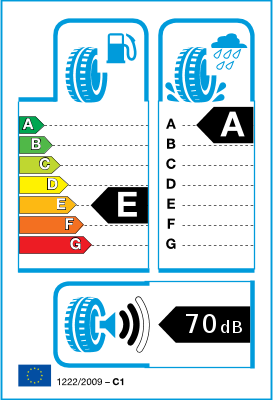 (1) Tests carried out by DEKRA Test Center in April 2015 on Golf 6, with 225/45-17 94Y/W XL tires and in July 2015 with 225/40-18 92Y XL tires. 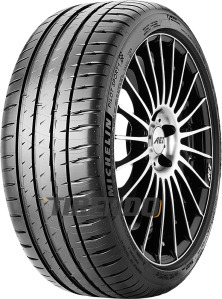 The CONTINENTAL Sportcontact 5 tyre covered 7.340km less than the MICHELIN Pilot Sport 4 tyre. Endless grip. Cannot fault them.